Have you ever heard any sounds made by such small plants ? They have no branches so there are no leaves that would rustle in wind . They are not high so there are no trunks that would creak . 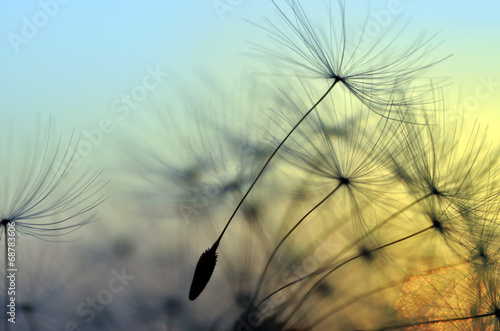 The photo wallpaper with a delicate dandelion will be a perfect addition to spacious and quite rooms .